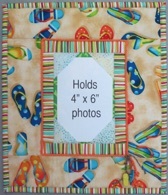 Make a quilted wallhanging that holds and displays standard 4” x 6” photos. We will be using the Fabric Photo Frame pattern that includes instructions for this project in 4 different sizes that hold 14, 7, 4 or 1 photo. Students can choose the size they want to make. Learn the techniques for creating a crazy quilt by machine! 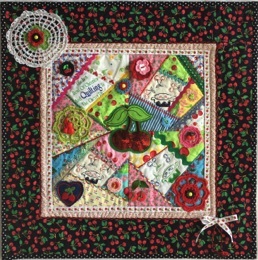 A fun and simple crazy quilt block construction method will be presented. 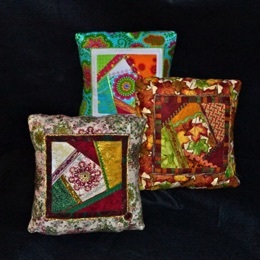 Learn the techniques for creating a crazy quilt by machine! 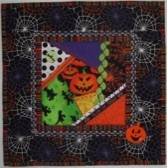 A fun and simple crazy quilt block construction method will be presented. 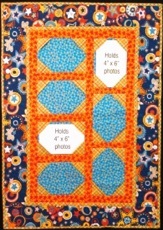 Students will make a one block wallhanging or pillow and learn how to use 4 blocks to create a 20 ” x 20 ” wallhanging. 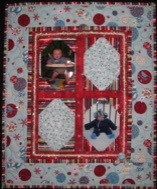 Make and embellish a quilted photo "frame" that holds one standard 4" x 6" photo print. Make your own beads from fabric to embellish your fiber art or make your own jewelry. Learn several fun and easy techniques using various materials. Students will create a variety of embellished beads to use in future projects.